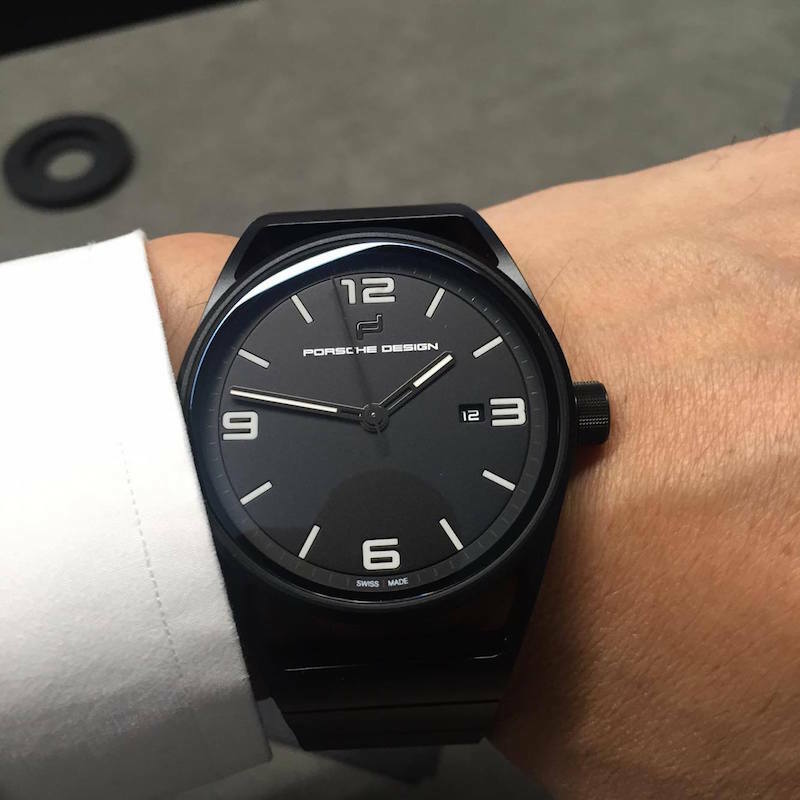 A year after the foundation of Porsche Design Timepieces AG in Solothurn, Switzerland, Porsche Design has, for the very first time, its own booth at Baselworld. Traditionally, Baselworld is where the most important watchmakers in the world present new products. Following in this tradition Porsche Design is showcasing a new collection, effectively opening a new chapter in the company's timepiece history. 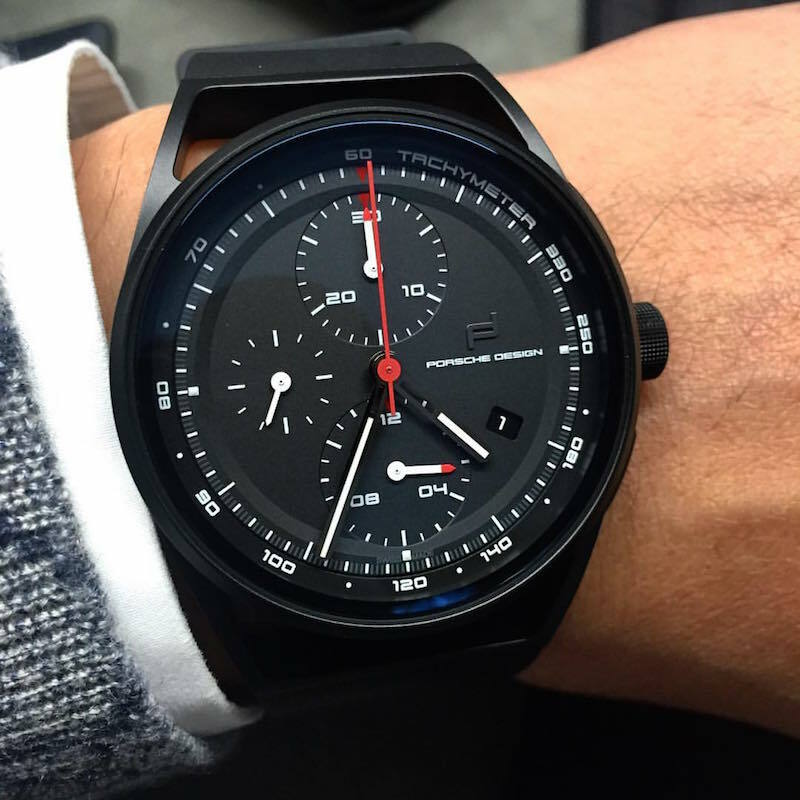 For those not familiar with Porsche Design's watch history it's quite simple. For years their watches were manufactured by a third party, companies like IWC and then Eterna. However, in 2014, Porsche Design ended their partnership with Eterna and said they would be going through a "strategic realignment". That strategic realignment is being shown in the form of a Porsche Design watch produced entirely in-house without the help of a 3rd party partner. "There are many established companies that have positioned themselves successfully in the watch industry with technical complications or a sporty image. However, we see clear opportunities for a strong designer brand in the premium timepiece segment for men. That is precisely where we will position Porsche Design in the future - with the right mix of sporty elegance, function, technological innovation, and last but not least with an attractive price-quality ratio." This is how Dr. Christian Kurtzke, CEO of the Porsche Design Group, sums up the company's strategy, "Of course, we are not starting from scratch because we can build on our more than 40 years of timepiece history." Inspired by the puristic clear lines and the functional aesthetics of the legendary Porsche 356, the watch conveys the elegance of the 1950s and perfectly embodies the Porsche heritage. 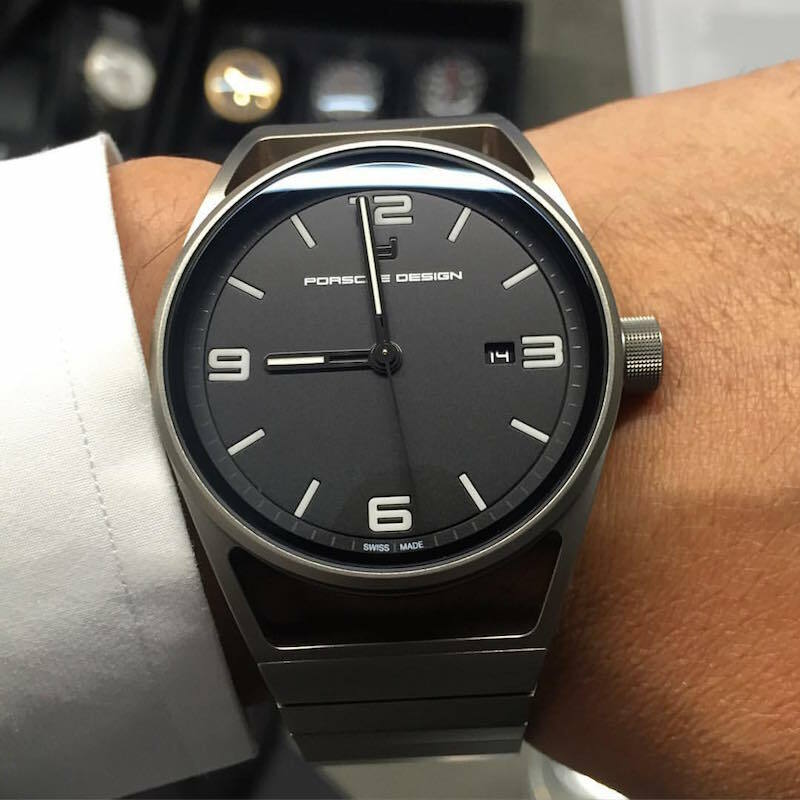 Porsche Design describes their newest watch as follows: The timepiece is characterized by its stylistic purity and its authentic, high-quality materials. Executed in a well-balanced mix of titanium and real alligator leather strap, the gray-green color of the face and the bronzed watch case, the "1919 Datetimer Eternity" pays tribute to iconic design elements that can also be found in the classic Porsche 356. Consistent with this approach, the latest Porsche Design creation is presented in harmony with the legendary Porsche 356. The design elements of this classic car and the iconic timepiece are captivated in various stills, underlining Porsche Design's determination to pursue a leadership role in the field of designer timepieces. The "1919 Datetimer Eternity" transfers the functionality of modern architecture to the design of high-end timepieces. The characteristic openings at the lugs and the transition to the precious alligator leather strap add a special lightness to the puristic aesthetics. The minimalistic design of the dial focuses the eye on the essentials of time and date. The new "1919 Datetimer Eternity Black Edition" adds four models in titanium and black, typical for Porsche Design and a reference to the company's iconic heritage. These watches of timeless elegance and perfect craftsmanship are created to last. With the introduction of the "1919 Chronotimer", Porsche Design creates an aesthetic link between architectural design, sporty elegance, and performance. The watch is powered by the mechanical Selitta SW 500 movement with a power reserve of 48 hours and a date window at 4 o'clock. The black-tinted sapphire crystal case back allows for a view of the exclusive, energy-optimized Porsche Design Icon rotor. The diameter of the case is 42 millimeters. The "1919 Chronotimer" is available in the four typical Porsche Design variations in pure or black titanium carbide coating, with either a titanium or rubber strap. The first models of the new "1919 Collection" will be available in Porsche Design stores around the world as well as at select watch retailers in May.